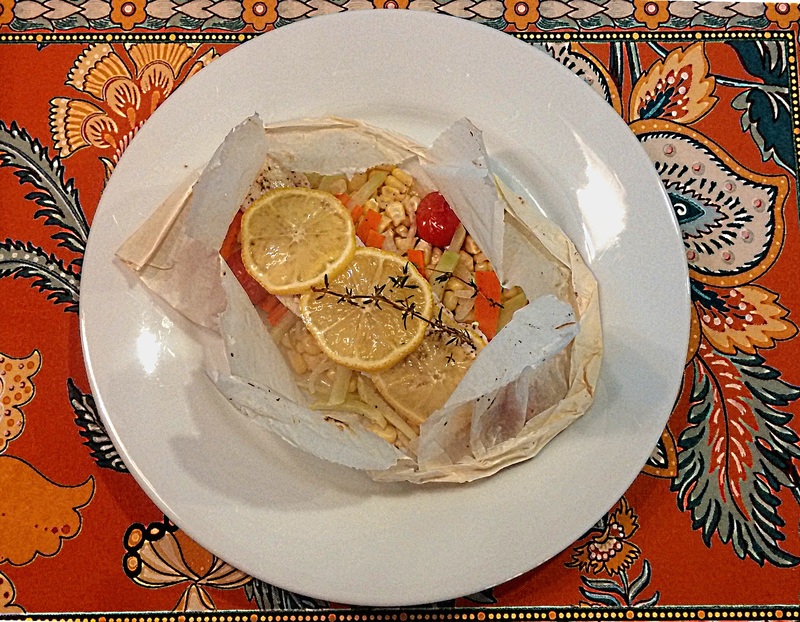 Cooking fish in parchment (en papillote) is a fast and foolproof way to create a restaurant quality-meal with delicately-flavored fish and fresh seasonal vegetables. The bonus is that this dish is low in fat and gluten-free. I love cooking fish in parchment in spring and summer. This preparation takes advantage of fresh spring and summer vegetables and herbs, and accentuates the delicate sweet flavor of fresh halibut.